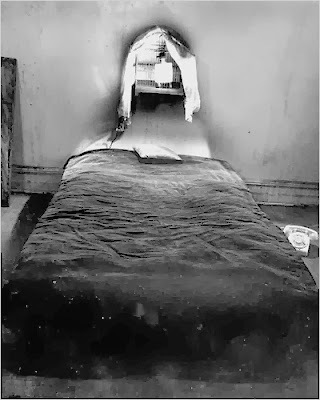 The bedroom used by Little Edie after her mother died. A single light bulb hangs in a bird cage above the bed. a su manera, sin bromear. que viene cuando el mundo se ha acabado. a lo largo de su historia muerta.